Its purpose is to help replenish the surface of the skin with the energy it needs to repair and reconstruct. 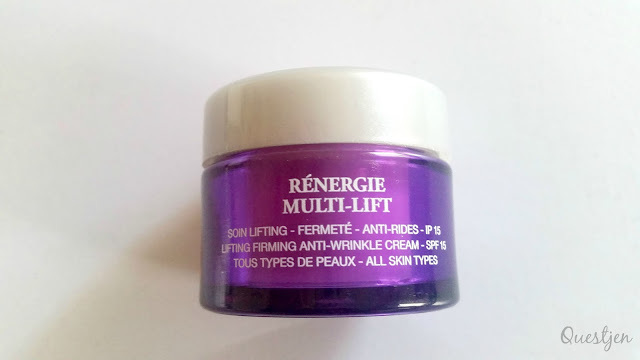 It is designed to target the multiple layers of the skin and is effortlessly absorbed to create a firmer feeling, tighter and a more youthful complexion with wrinkles appearing reduced and refined. I find the scent very pleasant and it is great that this cream is suitable for all skin types as my own sensitive skin is able to handle this scented product as I am usually opting for fragrance free ones to be safe. 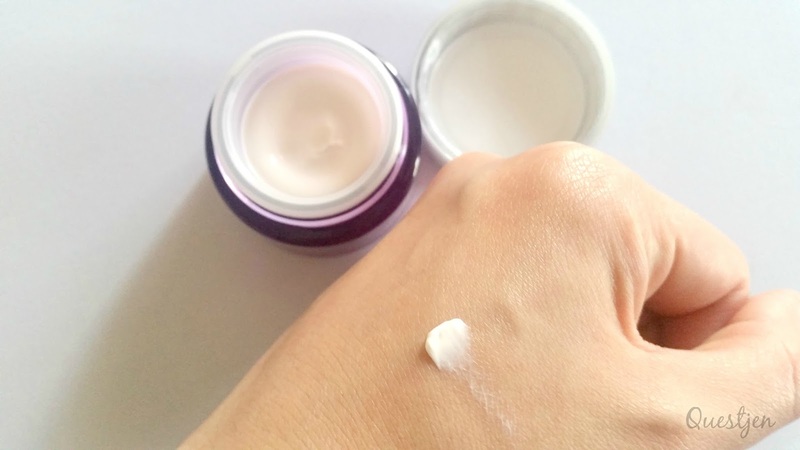 I had no irritations and I only say positive things about this cream as I felt that my face felt a lot smoother after the first use of this day cream! This product is designed to correct the appearance of dark spots, uneven skin tone and colour irregularities such as redness, dull skin and blemish marks. It is to be applied on clean skin both day and night, all over the face. There are 3 different 'shades' that this product's formulation supposedly matches in terms of pigmentation profile, i.e. shade 1 targeting fair skin tones, shade 2 targeting fair/medium skin and shade 3 targeting darker skin. I have quite a bit of an uneven skin tone with my forehead being a tad darker than the rest of my face and slight redness on my cheeks and around my nose. I'm curious to see if there are any results from using this product after a month or two. 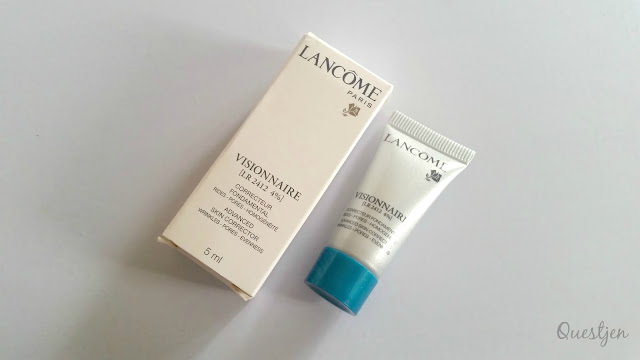 This is a sample of the 50ml version which has a modernised bottle design and its purpose is to reduce the appearance of wrinkles, minimise pores and imperfections such as uneven skin texture. 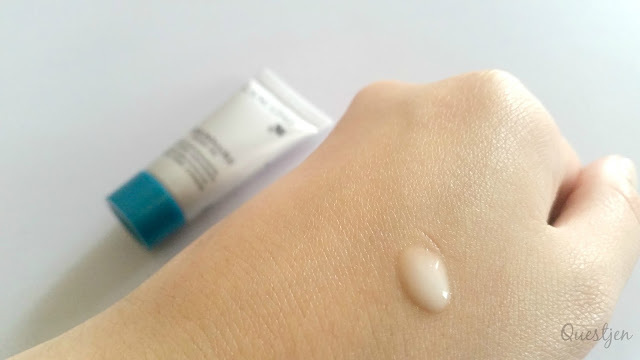 For the best results, it is best to be applied before using a day cream. 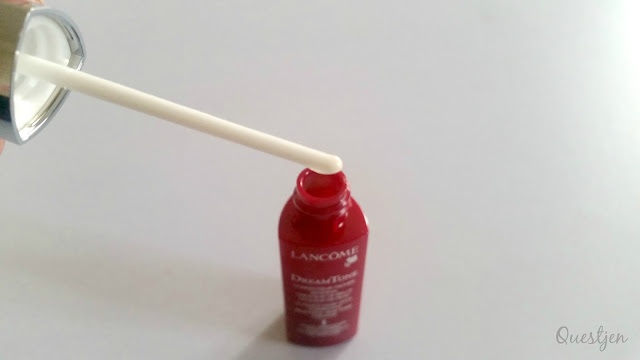 I like how light and thin this serum is so that other products such as face cream and BB cream/foundation can be applied right over it without it feeling cakey at all. It does an amazing job at smoothing out my skin to the point that it starts to feel like a baby's bottom! Again this has a a very pleasant, non-overpowering scent. 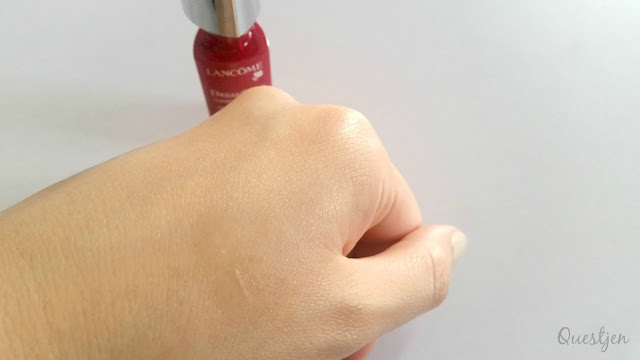 I hadn't tried any Lancome mascaras prior to trying this one, however I had always read such lovely reviews on their mascaras. 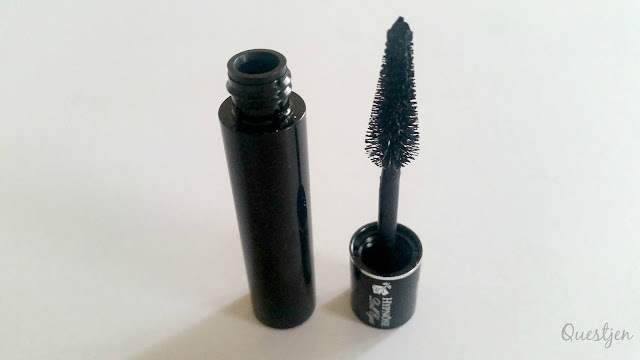 This is a sample of their full-sized 6.5ml mascara in the shade 'So Black' and the formula is enriched with nylon powders, coating every single lash without weighing them down. 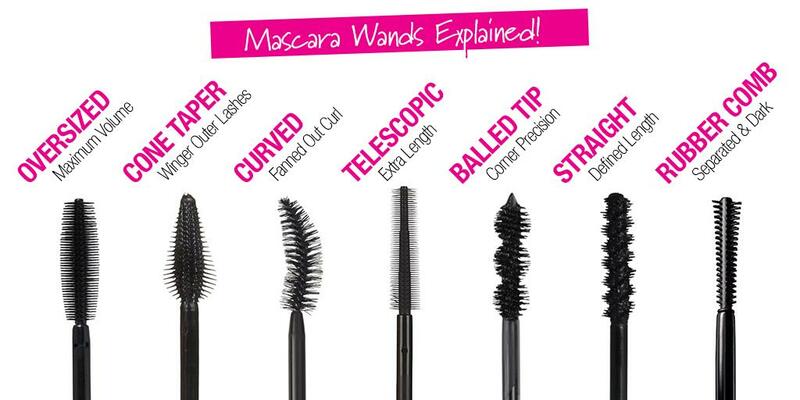 It's interesting how different mascara wand designs serve different purposes and I came across this image on Priceline's Twitter page that I thought would be quite informative for everyone. 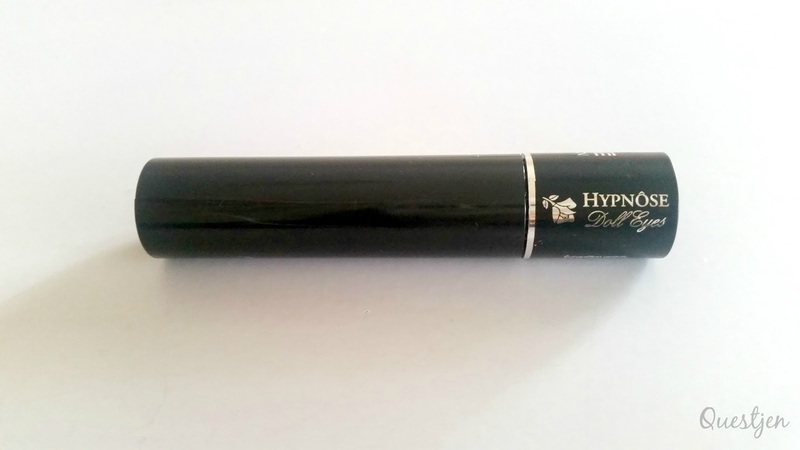 The cone-shaped brush on the Hypnose Doll Eyes mascara has been developed to coat every single lash at the ideal load, especially the inner and outer corners of the eye, giving that wide-eyed, doll-eyed look. I found that this type of brush did just that with my outer lashes being lifted and volumised. My only gripe about this mascara is that it isn't waterproof as I like my mascaras to be just that. Luckily there is a waterproof version that does the exact same job. Tresor is a classic fragrance by Lancome, it's my mum's absolute favourite and I actually quite like it too. One spray goes a long way and it's not at all restricted to a certain age group. 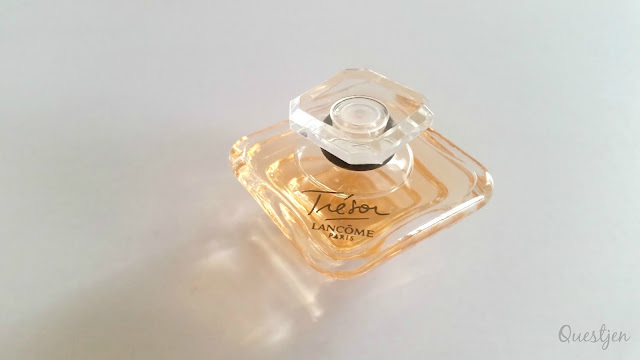 For those who haven't smelt this fragrance before, this scent unveils floral, fruity, powdery and amber notes. It is described as a 'fragrance for treasured moments' and its luxurious design while nestled in the hand appears as a precious treasure. 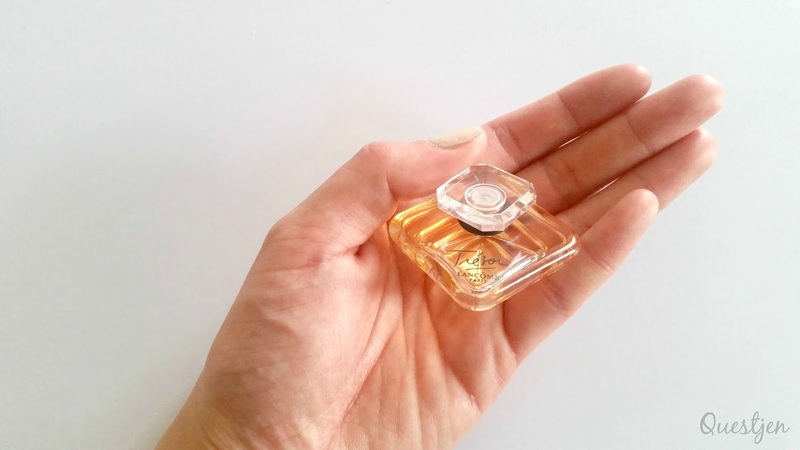 Personally I find miniature gift sets and samples to be great ways of trying before buying new products without having to spend too much and not having to worry about a full-sized product go to waste if it isn't suitable. 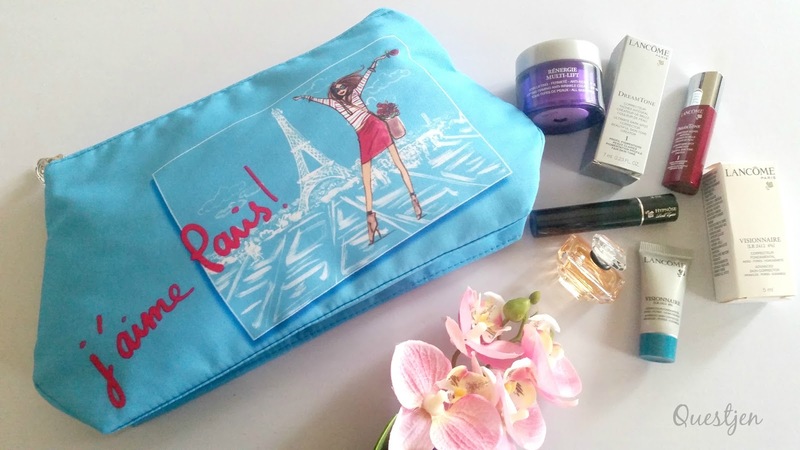 Many of the major cosmetic brands do GWP (gift with purchase) promotions for spending a certain amount and these gift sets are perfect for that. 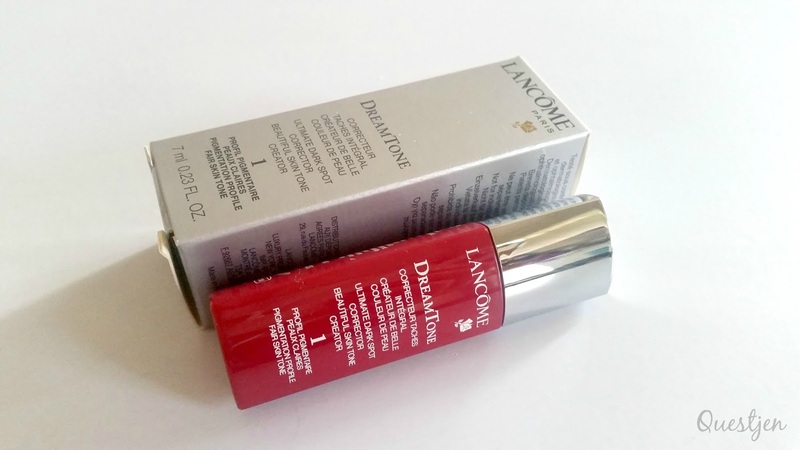 Have you tried any LANCÔME products before? Disclaimer: Products were provided for consideration. I am not affiliated with any companies mentioned in this post. All opinions stated by me are 100% honest and are free from bias. See more at http://www.questjen.com/p/disclaimer.html for full disclaimer. That's amazing...!! I love the mascara.